To increase the number of ethnic minority and young school governors, Inspiring Governance and the National Governance Association (NGA) have launched a joint campaign, Everyone on Board. The campaign features six serving governors sharing insight from their personal experiences on why the volunteers leading schools need to be diverse so that they are successful for everyone. This aims to encourage ethnic minority and young people to volunteer, tackling an issue of under-representation that has persisted for two decades. According to the annual school governance survey 2017 just 4% school governors and trustees are from an ethnic minority. This compares to around a third of pupils being from an ethnic minority, and 13.5% teachers being from an ethnic minority . The annual school governance survey 2017 also shows that 10% school governors and trustees are aged under 40, with 1% aged under 30 – though ethnic diversity does increase in younger age groups. There are an estimated quarter of a million school governors and trustees volunteering in state-funded schools in England, with 1 in 10 school governing positions vacant. Research from 1999 commissioned by the then Department for Education and Employment on the composition of school governing boards revealed that 5% of those governing came from an ethnic minority, indicating that there has been no significant progress in almost two decades. The governors explain that having volunteers that ‘come from different places and think different things’ share their skills, time and experience will bring diverse perspectives and a balance of views to conversations so that ‘barriers, biases and stereotypes do not go unchallenged’ and decisions will help children from all backgrounds to succeed and thrive. They also emphasise how having a diverse governing boards will create ‘a culture of inclusion, starting at the top’ providing role models for pupils to ‘give them confidence in what they can achieve’ and demonstrate the school’s commitment to diversity at all levels. 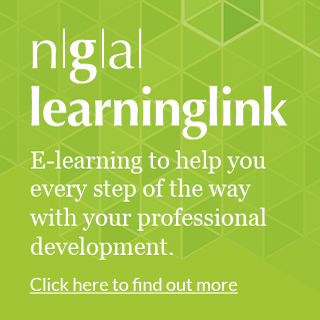 People interested in becoming a school governor or trustee are encouraged to register with Inspiring Governance – a free, online service that connects volunteers who are interested in becoming governors and trustees with schools that need them. 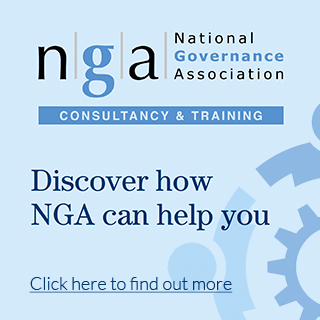 Those who are appointed through Inspiring Governance will receive 12 months of free support from NGA to enable them to feel effective and confident in their role. Through its work with governing boards, the NGA will support and encourage school governing boards to consider whether they reflect the community they serve and provide guidance and exemplars to help them address this. The campaign has received the support of organisations across the education sphere, with the Association of School and College Leaders, National Association of Head Teachers and Academy Ambassadors amongst those supporting the campaign. The Secretary of State for Education, Damian Hinds MP is expected to welcome the campaign, saying that having a range of voices around the table leads to good governance, in his address to governors, trustees and clerks at NGA’s annual conference on 9 June. Damian Hinds MP, Secretary of State for Education said: "I also want to do everything I can to help boost governor recruitment and retention – because simply we need more great people like you. So today I’m issuing a call to arms, appealing to people up and down the country to join you in this vital role. As Emma Knights has said previously, good governance needs a range of voices. And that was powerfully on display in the video we have just seen – and I champion the work NGA are doing, through your Everyone on Board campaign, to encourage more diversity – and for more women in leadership roles. Governing and trust boards should reflect the communities they serve. So, I want to urge people from different backgrounds, different professions, to come forward – to offer up their time, energy, skills, and expertise."